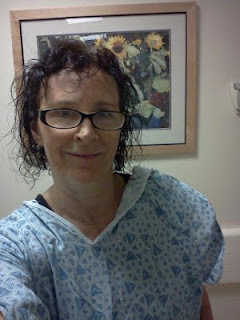 After several years of encouragement, from my gynecological oncologist, I finally acquiesced and made an appointment for the dreaded, yet necessary colonoscopy. I figured that the way my luck had been going, I might as well bite the bullet, and get it done. I strategically scheduled my colonoscopy for the week following Thanksgiving; full well knowing that I would be stuffing myself on that day, and could probably benefit from the two day fast and cleanse. Of course, I checked with my current oncologist, as I am taking Sprycel for leukemia, which thins my blood, to see whether or not he had any special instructions, that I may needed to adhere to. He did, and it was the very best news that I had gotten in quite some time. He told me that I needed to stop taking the Sprycel for two days prior to, and the day of, my colonoscopy. Since my colonoscopy was scheduled for a Tuesday, and I don’t have to take the Sprycel on Friday’s, I took the liberty of lengthening my Sprycel vacation by one day, so that I would actually have five days, with no medication. While the preparation for the colonoscopy wasn’t a whole lot of fun, being drug free made that part of the colonoscopy, so worth it. I felt like myself and had energy, even though I had nothing to eat but Jell-O. The sluggish, crappy over-all feeling that has become a part of my everyday life was gone on the second day of being drug free. Fortunately, my colonoscopy was scheduled for the morning, so that I wouldn’t have to starve all day long. I woke up nauseous and was a bit apprehensive of the procedure, and the results. My poor father was once again the “designated driver”, the poor man has had to drop me off and pick me up for many different medical procedures. I told him that if the results were not good, that he could just run me over, instead of bringing me home. The ride was an adventure, as usual! Thanks, Dad! Once we got to the outpatient surgery center, they quickly brought me back into the waiting area. I told them that I was quite nauseous, had leukemia and passed out if I threw up. Yes, another one of my lovely quirks; vegal nerve syndrome, I guess. They decided that a little Zofran, an anti-nausea medication, never hurt anyone. As luck would have it, my gurney was located right across from the room in which they performed the colonoscopies. I had the good fortune of watching three, very, very large males be wheeled in, and then wheeled out of that room; not a pretty site. The most disturbing part of this scenario was the fact that they were awake when they went in, and awake when they came out. This did not make me happy. I wanted no part of remembering anything that went on in that room. Finally, it was my turn. I was wheeled into the room and introduced to the doctor. His side-kick was a young man that reminded me of my son’s friend, Justin. Of course, I couldn’t keep my big mouth shut, and told him so. Funny thing is, that he has that Justin Bieber hair, and he said, yeah I am always being told that. I said, “Really? People from Boise come here often?” He said, “No, why?” I said, “Because that is where Justin lives.” He laughed, and said that he immediately thought that I meant Justin Bieber, and was so relieved that I didn’t. I asked him, if that now meant, that he would be certain to keep me knocked out, during the whole procedure. He laughed again and told me that he was pretty darn sure that he could do that. I told him that I saw all of those guys coming out the door still awake, and that he would be really sorry if that was me. He told me that I was going to me an easy case, to knock out, and to perform the colonoscopy; due to the size differential. I was relieved. The doctor told me that the key to staying knocked out was a good oxygen level; as long as your oxygen level remains “normal” they can continue to sedate you. If it drops, so does the sedation. So my advice, to anyone undergoing a colonoscopy, is to breathe deeply! I told the both of them, that if my oxygen level began to drop, that they must begin chanting, “breathe, breathe, breathe”…and I would know what they meant. 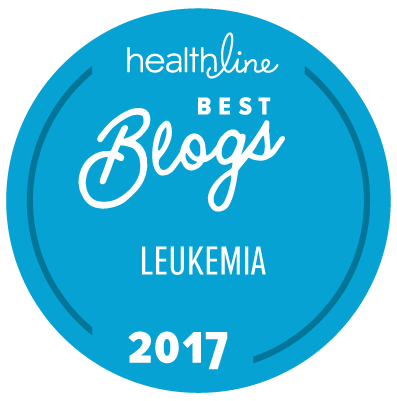 I also warned the doctor that if the results were unfavorable, that I would likely burst into tears, because my latest test results have resulted in an unfavorable way; chronic myelogenous leukemia. I just wanted to forewarn him. Finally, after all of that was said and done, they began to administer the medication; I immediately began to sing the song that they had playing on their boom box; two funny guys, rockin’ out to oldies, while they scope your bum……doesn’t get much more amusing than that! There was only one time when I felt “something”, it wasn’t pain, but I did make a noise, to let them know; I heard them both say “breathe”, it made me smile, right back into oblivion. Great job, guys! Shortly after I was wheeled into that room, the doctor was shaking me awake. He showed me the pictures of my colon, and told me that everything looked great. He also told me that I did not need to return for another ten years. Good news for the colon, bad news for a Sprycel vacation. I honestly have to say, that having the colonoscopy was well worth being off of my Sprycel, for five days. So whether or not you have leukemia, I would recommend having your colonoscopy done, at the current recommended age of fifty. Make certain that your doctor believes in sedation and remember to breathe! Leukemia and the Super Bowl; I Plan to Stay in the Game! Yup, the hair came back curly! I suppose that the Super Bowl will forever mark the first telltale signs that I was living, without knowing, that I had leukemia. It was one Super Bowl ago, in February of 2010 that I really began to be affected by my symptoms of leukemia. Last February, in a rush to complete yard work, before settling in to “Super Bowl Party Mode”, I struggled to mow the front yard. I was so aggravated with myself for having to really push through and get the front yard mowed. It was something that normally only took about forty five minutes to complete, yet this time, it had taken me over an hour. I just could not understand why it was so difficult, and why I had to push so hard, just to mow the front lawn. Next came the Super Bowl meal; I just could not eat it. And I certainly could not even slug down one Bud-Light! Did it occur to me that something was seriously wrong? Nope, not even an inkling; despite the fact that I could not even go to bed before midnight, due to feeling so stuffed, that I felt as though I was going to burst. Fast forward one year, to this Super Bowl. I have now been living with the knowledge that I have chronic myelogenous leukemia, for almost one year. Looking back, the year has flown by, and been filled with many ups and downs. The “ups” include that fact that I am still here, and responding well to my medication. The “downs” are that the medication often makes me feel like crap! I am not complaining, and I am very glad to be here, but I do hope that someday, there will come a time, when I can either reduce my meds, or they will come up with a new one, with fewer side effects. So, it is a bittersweet day for me; the Super Bowl. I suppose that it really is quite poignant; watching a football game, where two teams are battling, to the best of their ability to “win”. I am no different; I battle my battle, every day; planning and strategizing on how best, to conquer the enemy. It is my very own Super Bowl, a game that I will play for the rest of my life. A game that depends upon me to take my medication every single day, at the exact same time, to continue to have my blood tested regularly, get an appropriate amount of sleep and exercise, and to eat in a healthy manner. I must always be on guard for symptoms and side effects that may arise, and continue to read the play book, always in search of the newest and greatest treatment available. I need to keep my head in the game, and to stay positive and focused at all times. I need to see myself crossing the goal line, over and over, and remember, that when I fumble, or my pass is intercepted, that I need to shake it off, get right back out there on the field, and to keep on fighting. There will be many Super Bowls to come, and there are many, many of us, that must fight their very own personal Super Bowl every day, but as a part of that team, I promise to continue, to fight that fight, every single day! Happy Super Bowl, to you all!